One of my photography goals this year is to stay true to taking a photo every day. So far, I have lived up to it, even if there were days that all I did was grab the camera and take a photo (or 2 or 3) just for the sake of taking a photo! And so, I start a new theme “Pic of the Week.” There will be no lengthy thoughts or words of wisdom……just one (or two) photo(s) for the week that I really like. 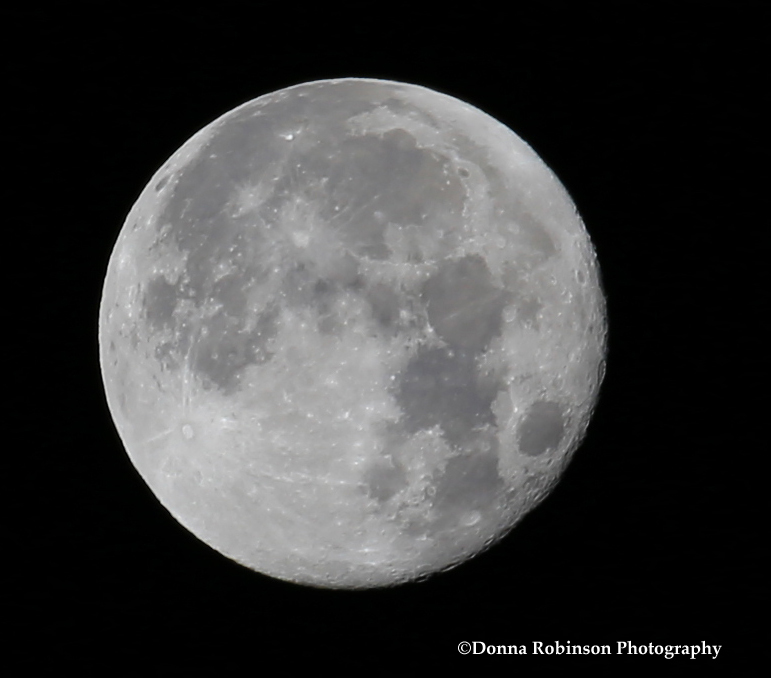 This week, I’m sharing the “Full Moon” which I took VERY early Friday (1/13) morning. Why I like this photo: It’s crisp, sharp and mystical. Who doesn’t find themselves wishing on the moon? Field Notes: f 5/6; Exposure 1/640; ISO 200; Focal Length 350mm (yes, I used the BIG lens) Time taken: 6:06a.m. Wow. Love the way you captured the ‘mystic’ of the moon! The detail is incredible. You are talented!! I did the 365 in 2015, and it really helped my photography ability. There were many days that I took a picture just to take one. My dog was an unwilling victim. This year, I’m doing the 52 to improve my editing. I started doing that last year, but didn’t continue. This year, I’m working with an accountability partner. I hope to make it to the full 52 and learn Photoshop in the process. Good luck! Anne, thanks for sharing your experience with 365…..I can already tell that a photo a day is already starting to help me brush up on a few techniques that I haven’t practiced in a while. Keep me posted on your Photoshop progress…..I need to really dig into that as well.